Gorgeous is the ideal word for this vase. Well made from quality ceramic, it will stay in prim condition for years. This vase is designed to suit a range of interiors. It features artistic engravings in black on green patches. You can keep this vase as it is or keep colorful flowers inside to make it look colorful. 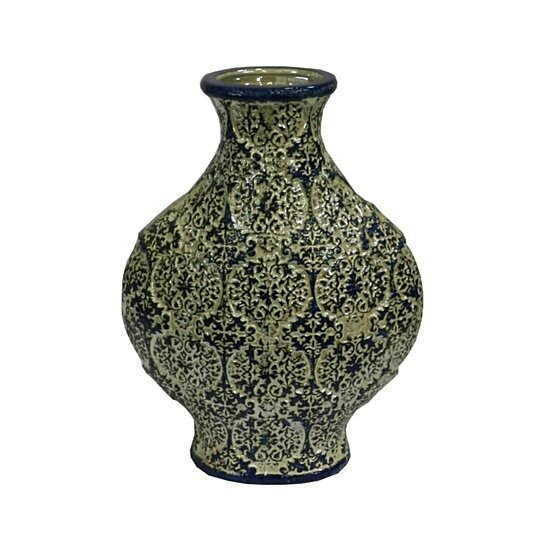 This vase will render a refreshing feel to the ambiance which will have a lasting effect on the mind of people seeing it.